It is one of the few hotels in south Goa, that can boast of having both the hotel and restaurant right on the beach. It has a capacity of 20 rooms ,scattered in a vast coconut garden. 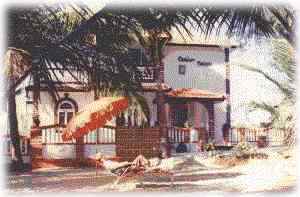 It is situated between the famous beaches of Colva and Benaulim, away from the town, in a silent peaceful place called Ambeaxir Sernabatim. It has an inhouse restaurant, facing the Arabian sea serving continental, chinese and Goan menu.